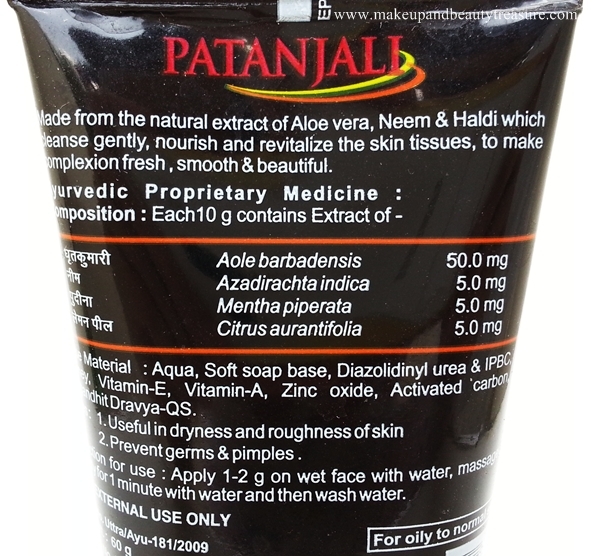 I have reviewed many items of Patanjali on my blog but was surprised that I did not try their face washes. Recently on my visit to Patanjali store, I bought few face washes for my oily, combination skin. 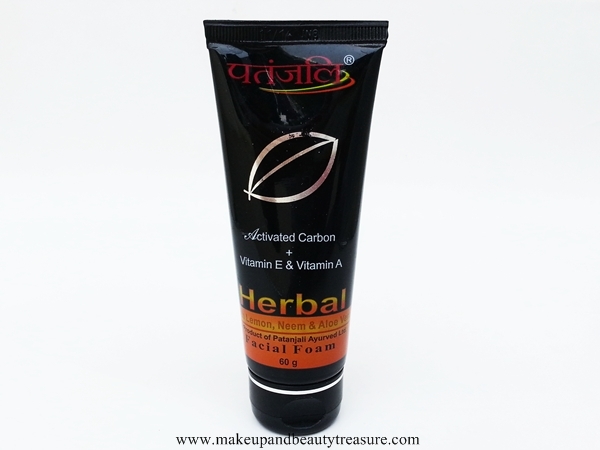 Patanjali Activated Carbon Facial Foam is meant for oily and normal skin and is priced at Rs 60. You can buy online HERE. 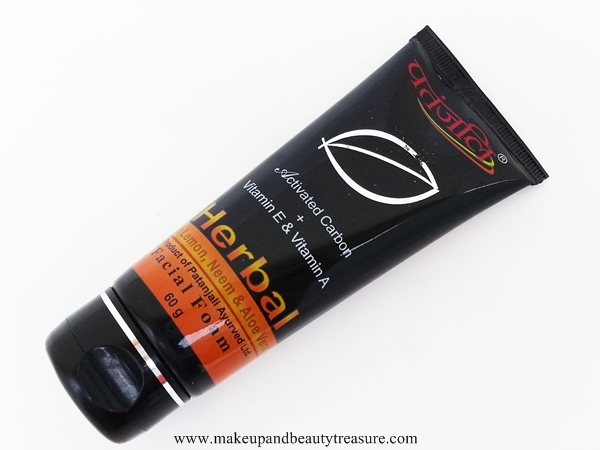 Patanjali Activated Carbon Facial Foam comes in a sturdy black squeezable plastic tube with a flip top lid. 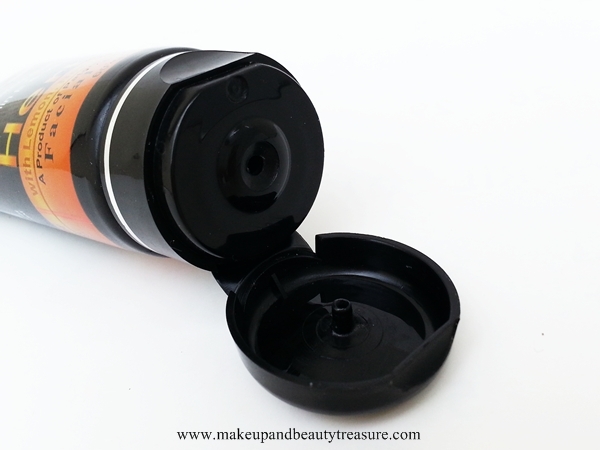 The lid is quite tight and the tube can be easily carried around in a bag with no fear of leakage or spillage. The black packaging reminds me of men’s face wash but no worries this face wash is meant for both men and women :). 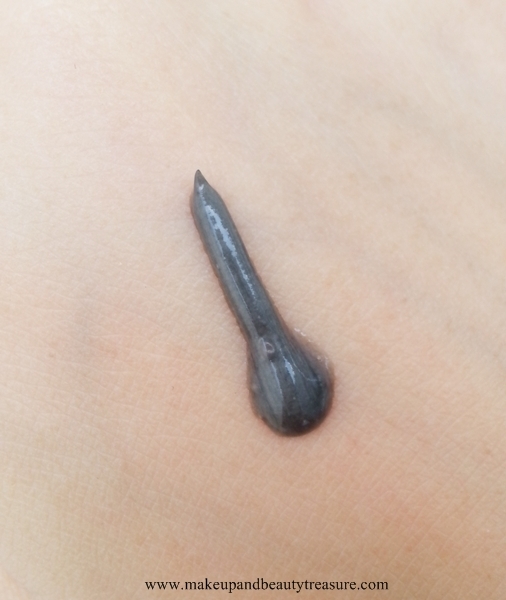 The face wash is dark black-ish grey in color with a mild and pleasant scent. It is quite pleasing and won’t bother sensitive noses. The texture of the face wash is soft and smooth with creamy consistency. I take a small amount of face wash for both face and neck and it creates a good amount of lather that feels really soft and nice on the skin. It gives a feeling of thorough cleansing. It washes away really quickly and does not leave greasy or sticky residue behind. My skin feels fresh, smooth and thoroughly cleansed without any tightness. It removes dirt, oil and non waterproof makeup effectively but fails in removing waterproof makeup. The scent fades away as soon as the face wash is rinsed away. As I have oily, combination skin, I do not feel the immediate urge to moisturize my skin. It does help in preventing pimples and acne. I have not faced any adverse effects whilst using it. The face wash contains activated carbon, aloe vera, neem and turmeric that are great in keeping oily, acne prone skin clean and clear. If you are new to my blog then you might want to read my post on what products I always repurchase from Patanjali HERE. • Makes skin fresh, smooth and thoroughly cleansed. • Great for people with oily and normal skin. • Prevents pimples and acne. I totally like Patanjali Activated Carbon Facial Foam. It makes skin fresh and clean in this hot and humid weather. If you have oily, combination or acne prone skin then I would definitely recommend it to you. • Only a small amount of face wash is needed each time to create a rich lather. • It does not remove waterproof makeup so make sure you remove it first using a makeup remover and then follow it up with this face wash.
• Always moisturize your face even if you have oily skin.